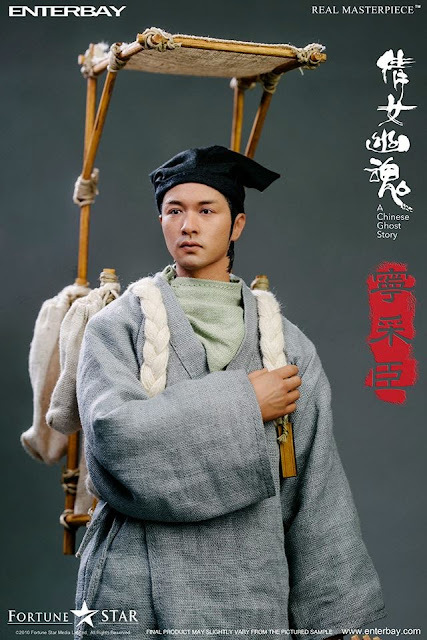 toyhaven: Enterbay 1/6 Leslie Cheung as Ning Caichen (or Ling Choi San) from "A Chinese Ghost Story"
Enterbay 1/6 Leslie Cheung as Ning Caichen (or Ling Choi San) from "A Chinese Ghost Story"
A Chinese Ghost Story is a 1987 Hong Kong romantic comedy horror film starring Leslie Cheung, Joey Wong, and Wu Ma, directed by Ching Siu-tung, and produced by Tsui Hark. The film was popular in Hong Kong and several Asian countries, including South Korea and Japan when released. 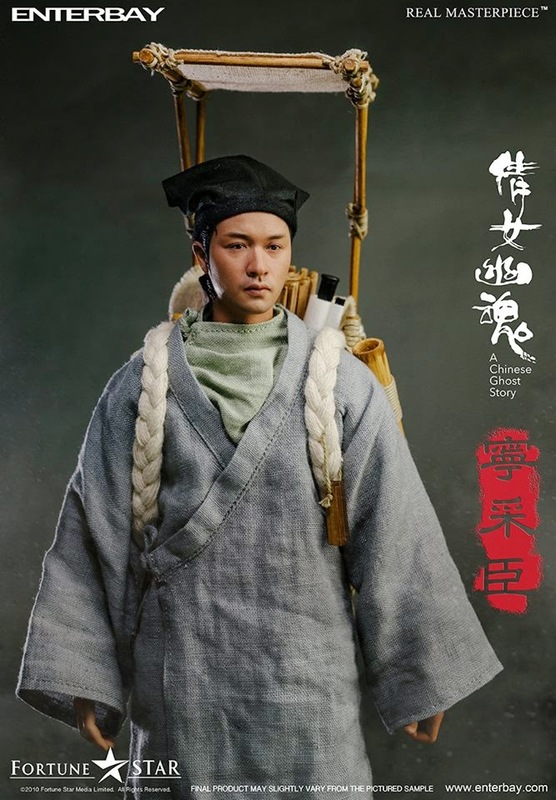 Most notably it boosted the stardom of Joey Wong, won Leslie Cheung popularity in Japan, and sparked a trend of folklore ghost films in the Hong Kong film industry, including two sequels, an animated film, a television series and a 2011 remake. 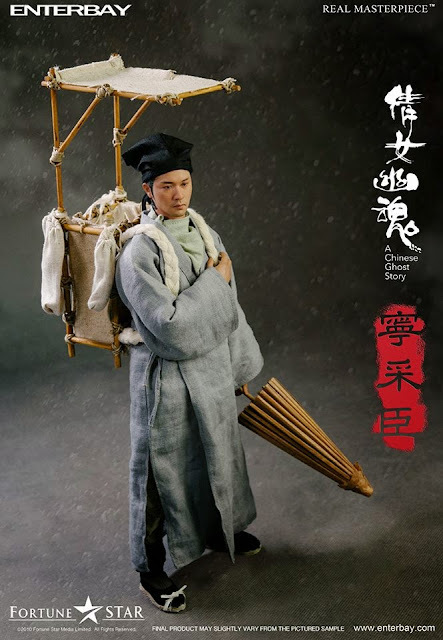 Leslie Cheung plays Ning Choi-san (寧采臣), a timid debt collector whose job requires him to travel to rural areas. 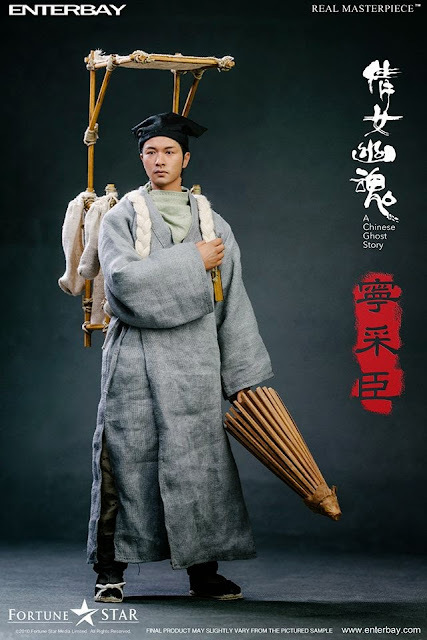 One night, he takes refuge in a deserted temple in the forest on the outskirts of a town because he ran out of money due to his inability to collect the debts as initially planned. 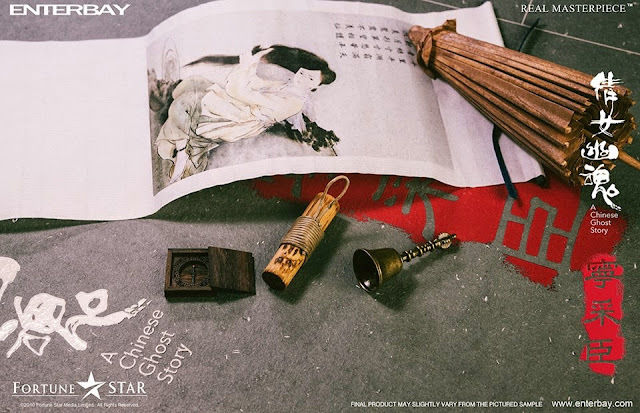 Ning meets a beautiful and alluring young maiden called Nip Siu-sin and falls in love with her. However, when he later recalls that night's events the next day, he becomes increasingly fearful and superstitious because a Taoist mystic told him that the people he saw at the temple were ghosts. 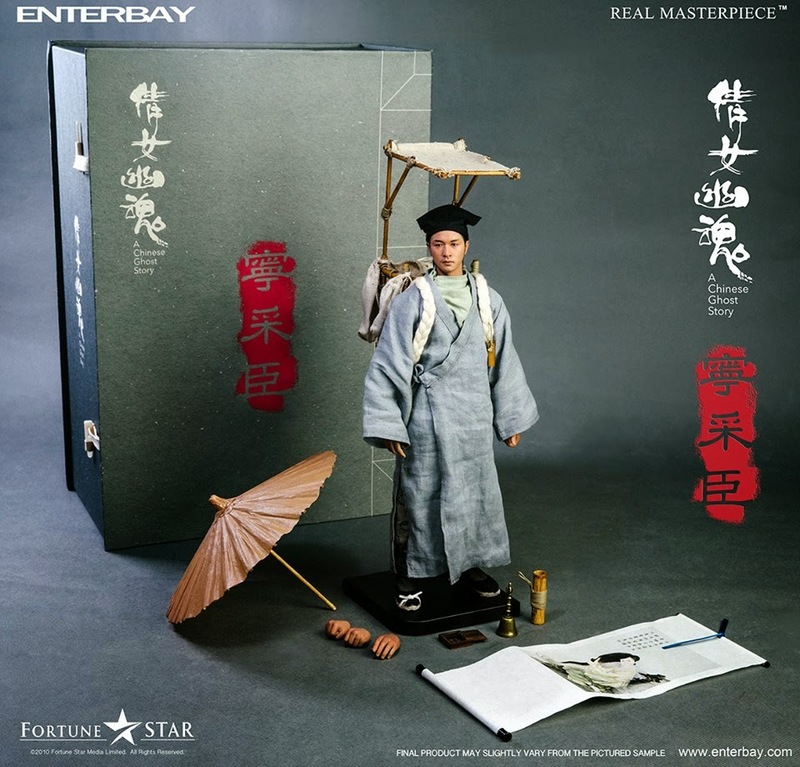 This is Enterbay's 1/6 scale version of Leslie Cheung as Ning Choi-san (寧采臣) in A Chinese Ghost Story. 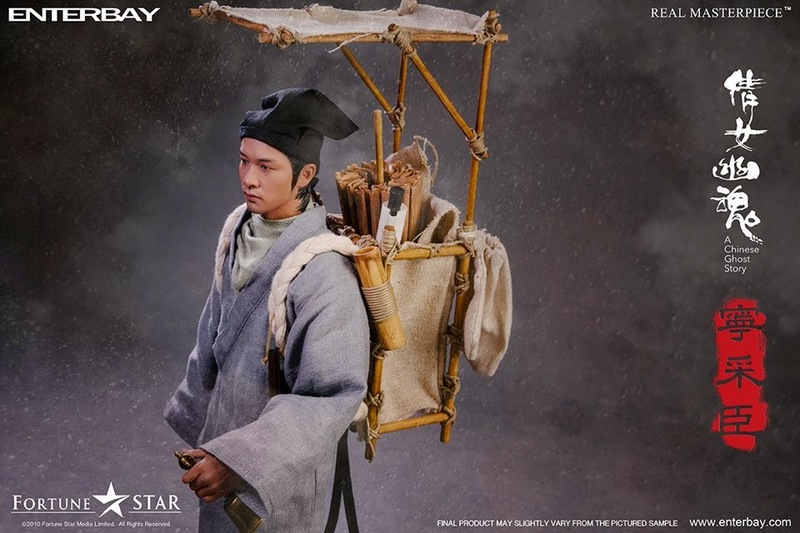 I guess they believe there's a demand in the market for this 12-inch figure. 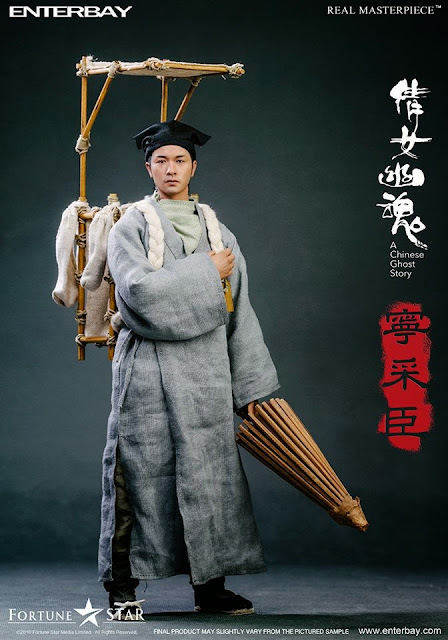 Joey Wong as Nip Siu-sin (聶小倩) would make a beautiful companion piece but don't hold your breath waiting for it to happen.